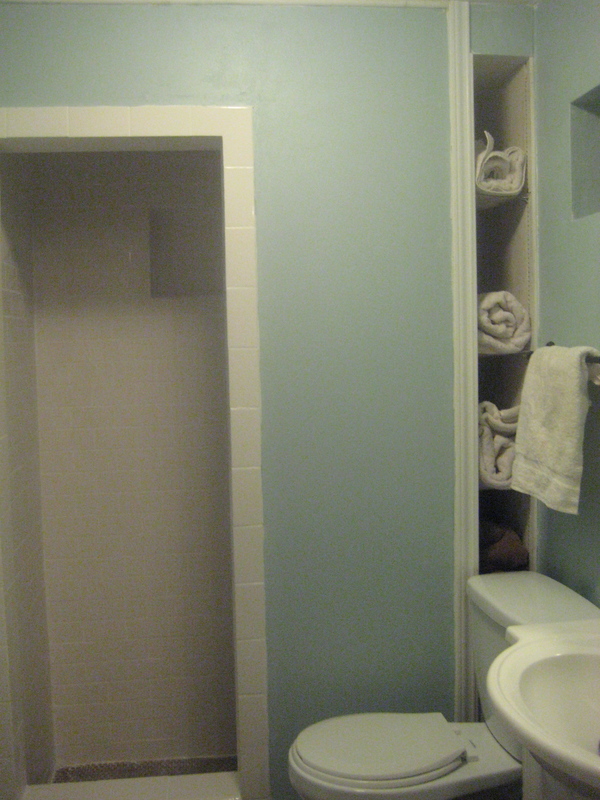 Adventures In Creating: Bathroom Reno Complete! Finally! After 2 years of living with this lovely yellow and brown flowered bathroom we finally have a new bathroom. If you don't remember let me refresh your memory of the beauty we used to have. 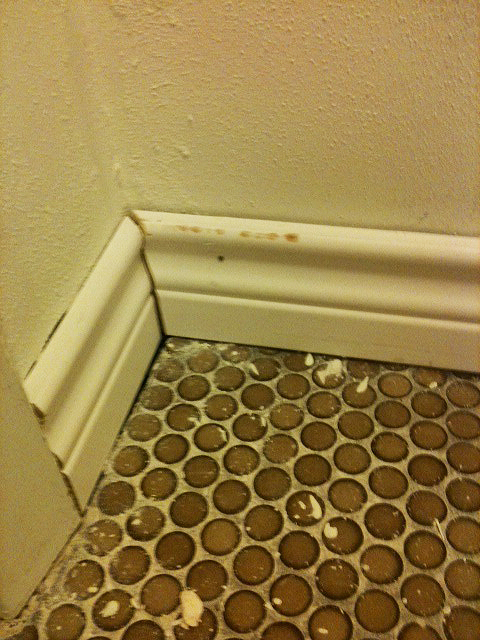 Not only was the decor bad 70's the tile was cracking in some places and the shower was leaking. So it was time for a change. Overall the reno took 5 days and only cost $1000 for materials and labor. 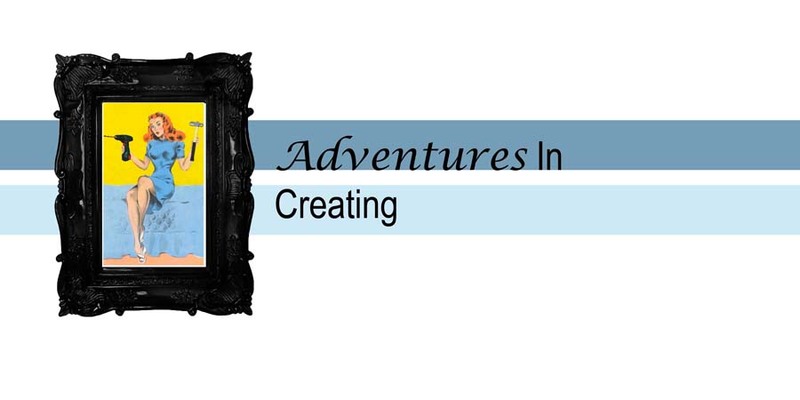 Check out Part 1 and Part 2 here. After everything was demo's we installed gypsum board on the walls instead of tile and Hardi Board for the shower surround instead of plaster. 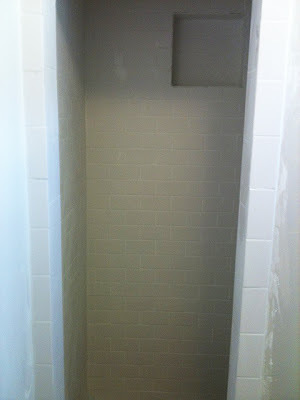 We had our tile guy install 3x6 subway tile. This took 1.5 days for him to install with all the cutting involved. He said it would have been quicker and cheaper to install larger sized tile but I wanted the subway tile to go with the older style of the house. 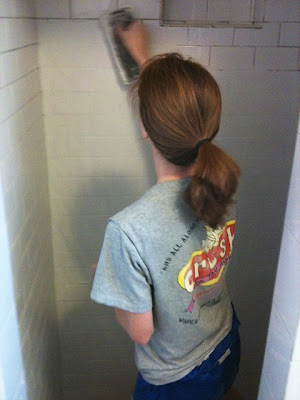 To save money we grouted the tile ourselves. This wasn't hard to do but was a little time consuming. I just followed the directions on the box on how to mix and trowel it on. 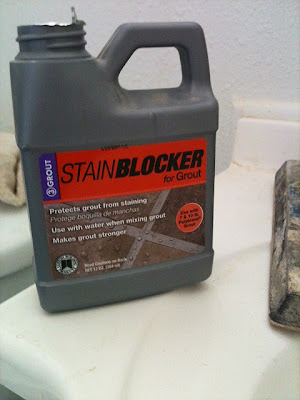 And to save an extra step I poured stain blocker in the grout as I mixed it so I wouldn't have to go back later and apply it. Also to save cost we kept the existing penny tile floor. So after the tile walls were removed there was a gap between the new gypsum board walls and the old floor. I choose to install baseboards myself to cover up the gaps. It was the first time I had done it and I was praying I wouldn't mess it up to bad. 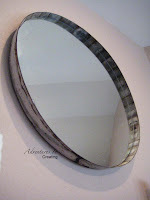 Overall it wasn't that hard- I watched a few internet videos on installing crown molding and base boards and I was ready to go. 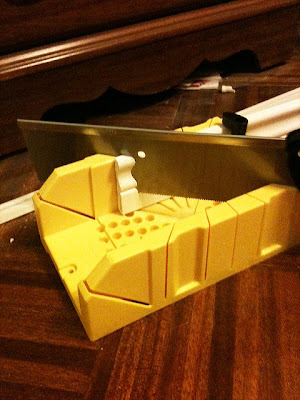 I just wish I had a mitre saw instead of just a mitre box! After all that it was time for paint! 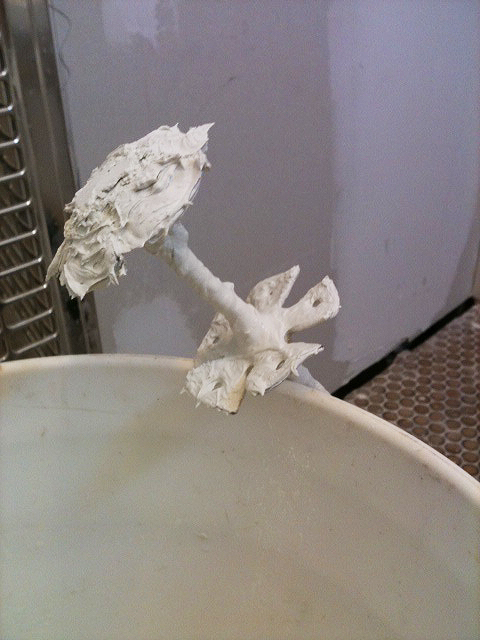 Instead of renting a machine that would blow texture on the wall I opted for a pour in texture. 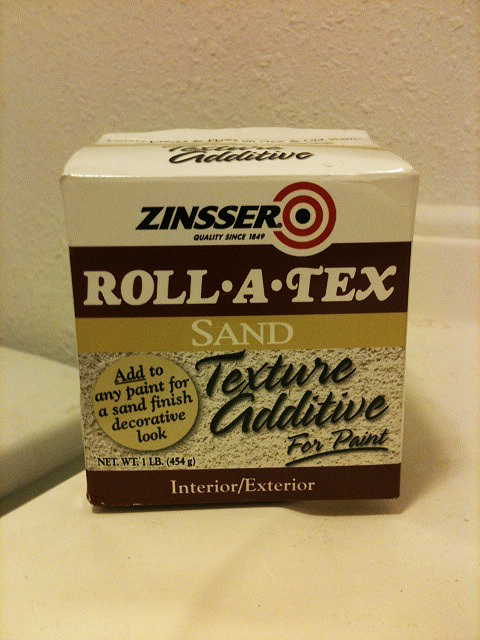 You just add it to the paint and roll it on as your painting. For me it works well enough since our bathroom is small but I don't think I'd want it for my whole house. 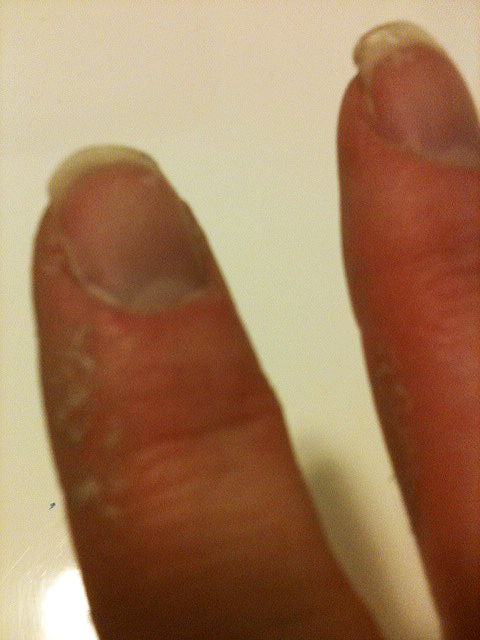 The wall really does feel like sand it it made the paint thick and harder to roll on. But for a few dollars it was worth it for this project! I had some hardware on hand that I had bought when the West Elm by our house for 60% off was going out of business. I thought I'd use it in our new home but since we're renting now I used it for the new bathroom here. Overall I think the remodel was a success and I wish we had done it sooner! What do you think? Major improvement or what?! 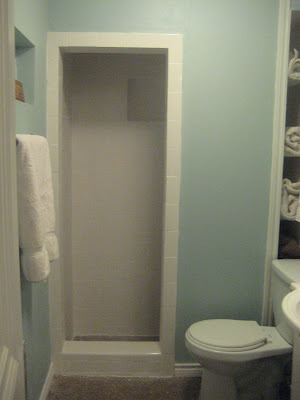 Your new bathroom looks fabulous, congratulations on a job well done! Absolutely a major improvement! Great job. Big improvement! we're in middle of our bath remodel too, I feel your pain!! Looks great! Love the new paint color too! Oh wow, I love it. 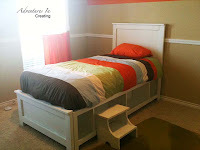 The colour is nice and I am so impressed with the parts that you were able to do yourself - especially those baseboards. Nice going! 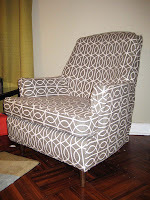 it looks fabulous...you did an amazing diy job...thanks for sharing this at fridays unfolded! Awesome! 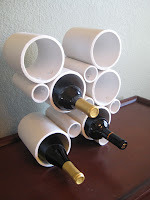 I love that you did this on a budget too! Congrats! It looks great! 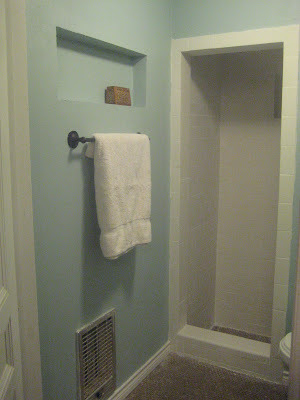 You just can't go wrong with subway tile. Beautiful wall color, too. Wonderful job! 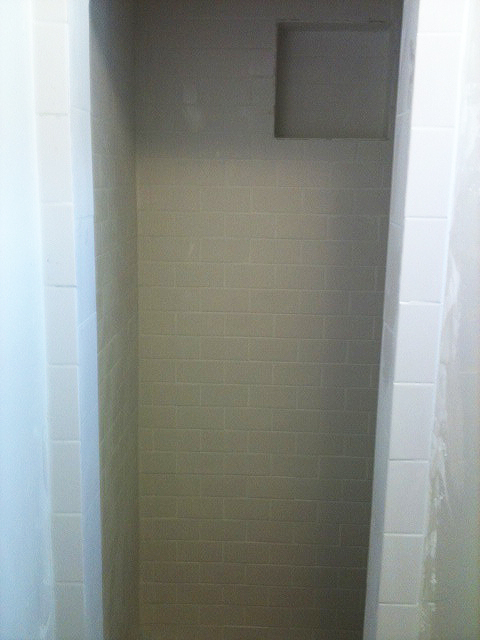 White subway tile is my favorite. I just don't think it will age the same way as yellow and brown flowered tile :) Enjoy your new space! Your bathroom reno looks great! I love the great color and the textured paint. 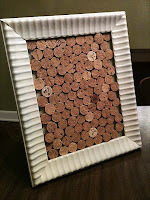 Thanks for linking this up to HSH! When we moved into our house the downstairs bathroom had this texture and we couldn't figure out how they did it! Nice to know!! 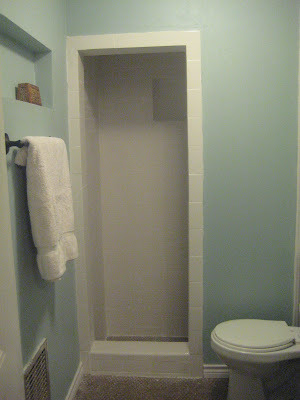 Your bathroom turned out great! Awesome reno! I love the color you chose! It looks great! 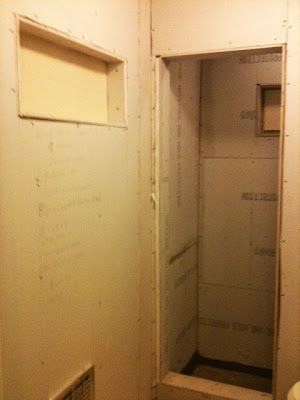 We're in the middle of our bathroom remodel and I'm not sure if we'll ever be done! Congrats! Looks great! I love the subway tile, definitely the right choice. Also the penny tile is cute!